The 90-Day Commitment: Changing Habits from the Inside Out! Do you have a change you want to make in your business, career or life (big or small), a project or idea that you are ready to create? Is it time to embrace your courage and confidence? Are you sick of thinking and talking about this change and ready to take action? The 90-Day Commitment: Changing Habits from the Inside Out is a 90-day Coaching Package for women who are ready to take action and embrace their courage whilst making empowering changes to their life. They would like to be held accountable, educated, supported, inspired and celebrated as they break up with fear (and other draining habits) and take small and empowering steps towards creating changes in their personal or professional life over 90 days so they can create a career and life they love. We will take the time so you can align to your mind, heart and soul. The mind work is about becoming aware of attitudes, beliefs and stories you are telling yourself, the heart work looks at the practices of forgiveness, emotional intelligence and compassion and the soul work relates to living in alignment with your gifts and making a difference to others. 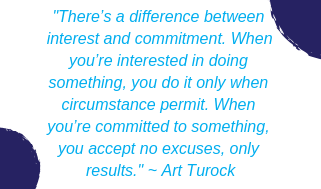 How Does the 90-Day Commitment work? The 90-Day Commitment is all about YOU and your relationship with yourself!. It is about you focusing on your change over 90-Days, so you can trust yourself more in a safe and supportive environment. Throughout the 90 days, you will connect with your identified change for your business, career and/or life, develop strategies and identify what is really preventing you from taking action towards achieving your potential and experiencing flow in your life. The 90-Day Commitment is interactive. You will join a community of people making changes in their business, career and life. The community is a safe and supportive place that will honour and recognise where you are now, identify what you would like to change and continue to support and celebrate when you complete your change. Fear is stopping you from taking the next step in your business, career or life. You cannot think your way out of fear, you have to find the courage and take action. In the Turning Point we will be supporting you to take action each day and tap in to the power within. The 90-Day Commitment is simple and grounded in research. In essence, the 90-Day Commitment is simple, however sometimes the simple things are also the hardest. It is about unlearning as well as remembering and being yourself. Yes, it is also grounded in research, which is why it is 90 days! Personal Growth and Learning - as you participate and engage in the 90-Day Commitment: Changing Habits from the Inside Out, you will discover additional self-worth and evolve as a person. Energy and Flow - there may be days (or weeks) in your profession or business when you do not have very much energy. However, when you are aligned with your own heart and soul life starts to flow with ease and grace. Practice, Practice, Practice -The key to life is paying attention and being present. Yes, this can be challenging. On the surface, it can appear easier to bolt and run away (don't worry I have done that many, many times), however in the long run it doesn't work. This is why we are going to continually practice coming back to focus on yourself and the habits you want to change. Accountability - no longer will you feel like you are trying to do it all by yourself! In the 90-Day Commitment, you will be setting up, focusing on and developing systems to track your accountability. You will find yourself more inspired to take action when you have a support system cheering you on. Encouragement and Support - you will have encouragement from Jane. When was the last time someone gave you genuine support and celebrated your successes? In the 90-Day Commitment, we want to share your successes, no matter how big or small they may seem! What's Included in the 90-Day Commitment Price? For more information on the 90-Day Commitment, click here or contact us here.